A panel of esteemed guest speakers in London examined the Convention’s impact over the past 60 years, its current status and what the future may hold for this crucial international agreement. · Mimi Lee, Managing Counsel at our key client Chevron, who leads Chevron’s international disputes team out of San Ramon, California. The panel discussed whether the Convention still meets the needs of the global community and what could or should be done to fix any shortcomings. It also examined the English judicial view of the Convention and its application in comparison with the French courts, its real world impact, and the link between the Convention and Foreign Direct Investment. 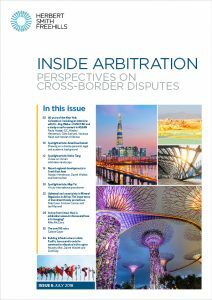 It also provided insight on the importance of the Convention for a real world user of arbitration. The event’s Latin tagline translates as “May it live, grow, and flourish!“, and was originally used by Professor Pieter Sanders in his foreword to ICCA’s Guide to the Interpretation of the 1958 New York Convention: A Handbook for Judges. Members of our arbitration practice were joined by high-profile guests including clients, members of the arbitration community, barristers, fellow practitioners and academics. The evening concluded with a reception, offering guests the chance to continue the discussion over drinks and canapés. The LCIA has recently released its Facts and Figures for 2016. This report (Facts and Figures – 2016 A Robust Caseload.pdf), which is produced annually, provides an overview of and insights into the LCIA's caseload. 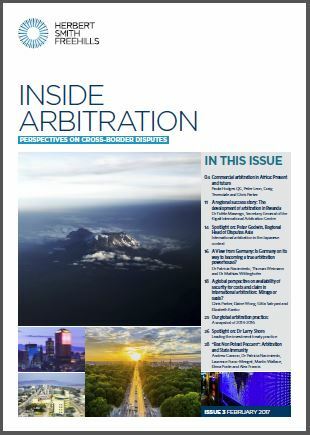 It includes detailed statistics concerning aspects of the caseload ranging from the industry sectors concerned, to arbitrator appointments, and the frequency of use of different procedures under the LCIA's Arbitration Rules (the "Rules").The statistics demonstrate that the LCIA caseload continues to grow, attracting disputes from across a number of industry sectors and involving parties from across the world. Some of the main points from this year's report are set out below. For the second-year running, Herbert Smith Freehills' Global Arbitration Practice has been showcased as being the third busiest in the world as part of the prominent annual Global Arbitration Review (GAR) 30 rankings. The firm's new GAR 30 ranking appears in the tenth edition of the GAR 100, which was unveiled on 29 March 2017 at the seventh annual GAR Awards at the Palazzo Parigi Hotel, in Milan. Highlighted by the publication as a "force to be reckoned with", GAR reports a significant spike in high-value work for the firm, with 14 cases worth more than US$1 billion (including one worth US$18 billion). The firm also achieves a large number of peer-recognised specialists across the global network, having a total of 15 people featured in Who’s Who Legal: Arbitration, the highest figure of any firm in the GAR 30. Herbert Smith Freehills is delighted to invite clients to the London launch event of the second edition of our Guide to Dispute Resolution in Africa. 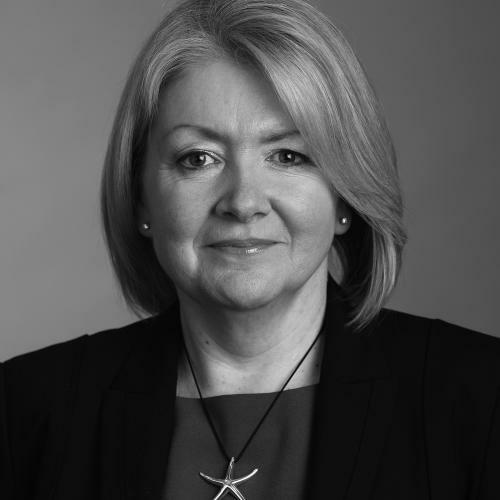 Herbert Smith Freehills’ Global Arbitration Practice is delighted to announce that Paula Hodges QC has been appointed as Vice President of the Court of the London Court of International Arbitration (the LCIA). Paula is a member of the LCIA’s Board of Directors and has been a member of the LCIA Court since 2012. The LCIA Court’s members are chosen to provide and maintain a balance of leading practitioners in commercial arbitration, from the major trading areas of the world. The LCIA Court has an important role in the governance of the LCIA. The LCIA draws on the expertise and experience of the Court members to safeguard its reputation, support the steering of the institution and make strategic decisions as to its development. The Court is also the final authority for the proper application of the LCIA Rules and its principal duties under the LCIA Rules 1998 and 2014 are the selection and appointment of tribunals, the control of costs and the determination of challenges to arbitrators. 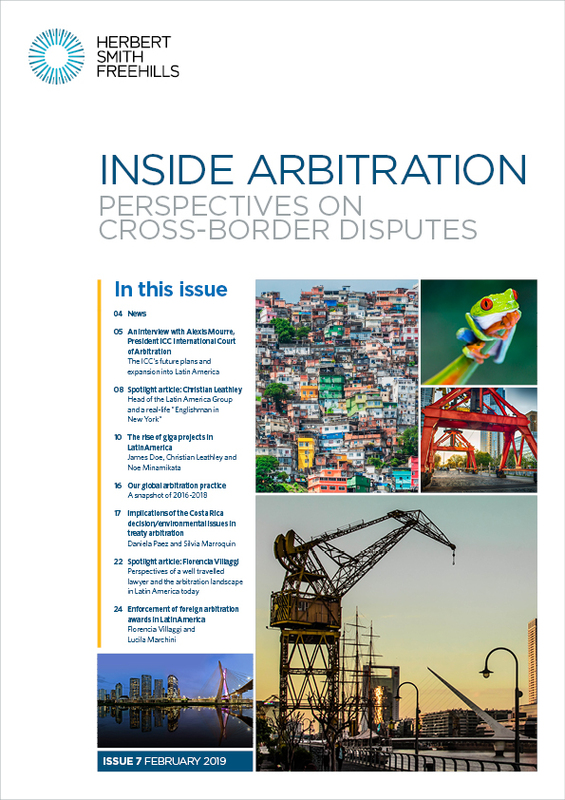 Under the LCIA Rules 2014, the LCIA Court also has an important role in deciding whether an emergency arbitrator can be appointed and determining whether multiple arbitrations can be consolidated into a single proceeding. Paula comments: “I am delighted to be increasing my involvement with the LCIA, a modern and efficient international institution which remains at the forefront of arbitral practice”. Also appointed to Vice President is EY Park of Kim & Chang. Audley Sheppard QC of Clifford Chance, who has served as a Vice President since 2011, was reappointed to serve a further term in the role. Further information about the selection of the next President, Judith Gill QC, the appointment of new Members of the LCIA Court and changes to the LCIA Board of Directors, can be found here.